A Bee Movie theme is quite the buzz for a 1st birthday theme. Use our Bee Movie Theme Party as a guide, then follow these easy directions to make your party suited for your little one's first birthday. This is page is just a small extension of our main Bee Page showing you how to make the Bee Birthday a first birthday! There are great birthday supplies at Birthday in a Box. They offer you package deals, which are cheaper than buying individually. 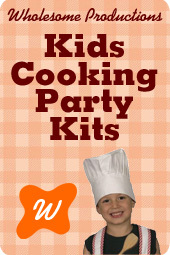 Celebrate Express has allot of great Baby Einstein supplies and even a place to customize your child's party supplies. You also get free shipping if you spend $75. For orders over $50 you get 10% off and free shipping at this store. Shindigz had tons of products and lots of party favors. BuyCostumes.com also has many Baby Einstein supplies. We give you all of these so you can compare the best prices for the week! At Amazon you can find good deals, but you may have to choose from more than one vendor. Look for free shipping as Amazon usually has good sales or shipping discounts going. We hope you enjoy our 1st birthday ideas. Have a great first birthday! For snacks, consider yogurt bites, puffs, fruit and cheerios. Remember children under one should not eat raw honey. Bee Movie favor bags can be filled with toddler treats as well. You can go here for great Bee goodies and for the treat bag. You can go here for Bee Movie Cakes or Cupcakes. Just add a #1 candle and you have a great Bee themed cake! Decorations can include the decorations from the Kids Bee Movie Birthday Party, then mix in a number 1, for a first birthday party. A soft stuffed bee sat on the table and a highchair bee toy are great as well. These games are written just for a first birthday party, but try our games section for many more games. Have your first birthday youngster sit in a circle with the other tiny ones, preferably in the lap of an adult. With the adults leading, join together clapping and chanting a few rounds of the old familiar “Pat-A-Cake”. throw it in the pan. For those of you who don’t remember, just clap in rhythm until you get to the part of “roll it up, roll it up” and then you roll your hands around…then “throw it in the pan” with a throwing gesture. You can even make a bee buzzing noise when it says mark it with a “b”. Babies love this one no matter how you do it. HOW DOES THE BEE GO? Though this game may seem simple to adults, babies find it fascinating. Sit the little ones around in a circle and have one adult or older child get in the middle and ask, “How does a bee go?” Then follow by making a bee buzzing sound while acting out a bee flying around. A soft stuffed bee can also be used for even more fun. * A cd of this song can be played if you prefer. Little ones love music so consider playing kid’s songs like Big Bad Bumble Bee and Bringing Home a Baby Bumble Bee. Scheduling the party after nap time is a great idea and location is usually best at home or a familiar place. Remember to take plenty of pictures as you will more than likely want to use them for scrap booking and a mile marker slide show. Most importantly, have fun and enjoy the party, your child will never turn one again! Your one year-old will bee absolutely adorable in a bee costume and you too can join the fun with our adult bee costumes and bee accessories. You can find this toddler costume right here.